What is the Wayback Machine? Since 1996, an organization called the Internet Archive has been taking 'snapshots' of web pages on the World Wide Web. The Wayback Machine is a tool that allows users to surf those archived versions of web pages. Visitors to the Wayback Machine can enter a website address, select a date, and then begin surfing on an old version of that web site. As of May 2015, the Internet Archive had archived 475 billion web pages. Why does the HotPeachPages use the Wayback Machine? Unfortunately, websites or pages we link to sometimes disappear from the internet or are suddenly unaccessible, usually for reasons unknown to us. In some cases, in order to preserve the valuable information and resources that were available from such sites, we link to an archived version of the site on the Wayback Machine, hoping that at least some of the information is still useful. 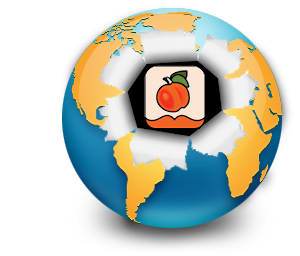 If you find a link to an archived site or page on the HotPeachPages that has no currently useful information, or if the site or page is back on the internet, please email us to let us know.